The adaption to the target is a 34 pin Samtec connector. The flex cable between Aurora preprocessor and target will not be twisted. The target connects both trace and debug signals to the Samtec connector. 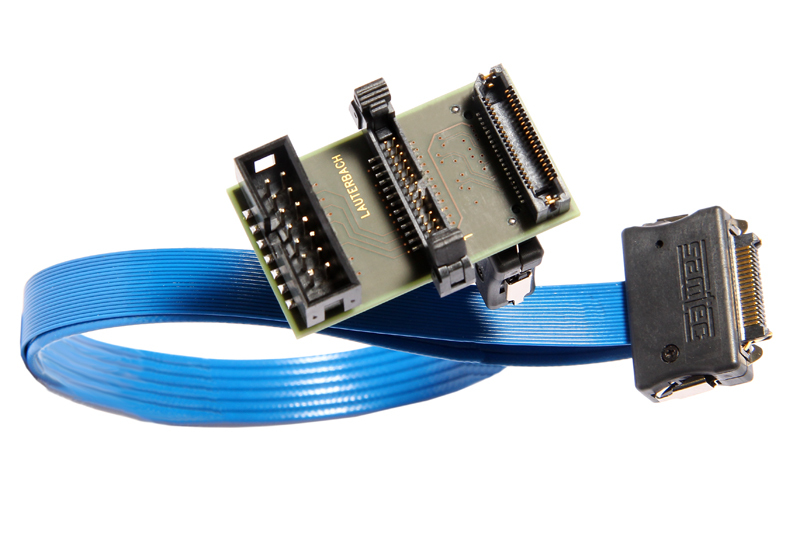 As the adapter includes both 26-pin header (for the AUTO26 debug cable) and a 14-pin OnCE Header (standard pinout fpr MPC5XXX), it can be used for debugging/tracing as well as for JTAG-only debugging. The target has separate connectors for tracing (Samtec22) and debugging (OnCE or AUTO26 header). JTAG-VTREF, TCK, TMS, JCOMP-, TDI, TDO, RSTIN-.